Designed and developed with sub architects office custom installation method. Custom khaki felt color manufactured for the client. Floor covered in 5mm khaki felt. 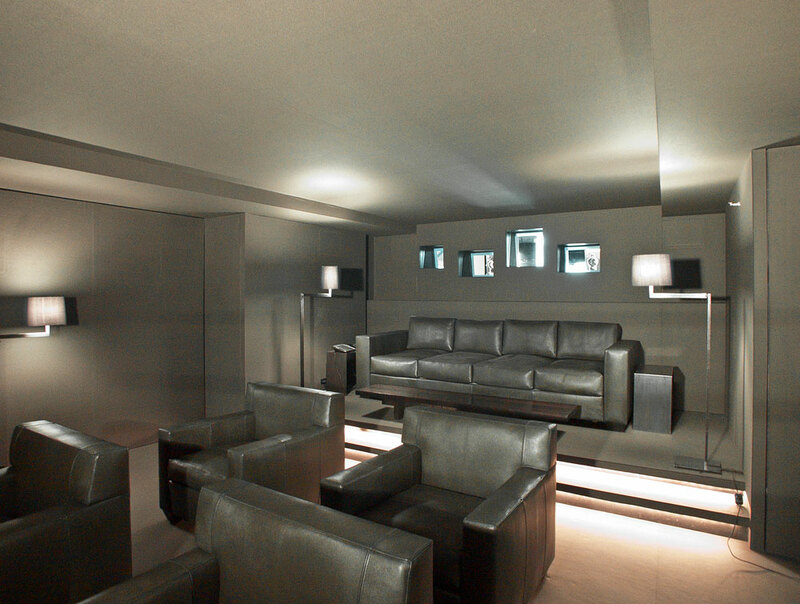 Walls and ceiling in 3mm khaki felt. 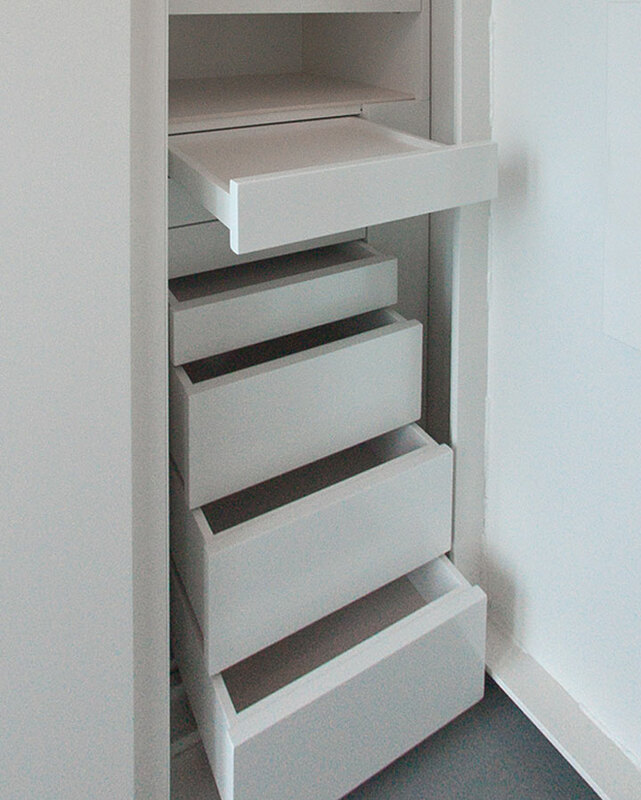 Inside closets and drawers covered in 5mm white felt.